What started as merely a new way to host enterprise software has evolved into perhaps the most defining technological trend of this century – radically changing business models and even transforming entire industries. We’re talking, of course, about the Cloud. The Cloud revolution has enabled businesses to access a vast range of new tools, applications and computing resources, allowing them to deliver new services to users and respond to market needs with unprecedented agility. 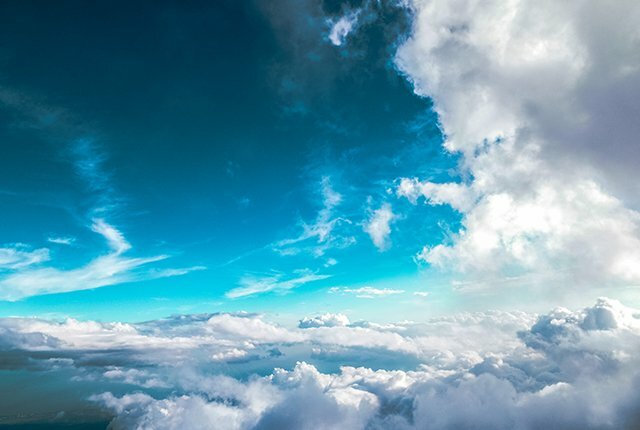 Today’s biggest business themes – the likes of customer-centricity, digital transformation and mobility – can only come to life when an organisation truly embraces the Cloud. We’re standing on the brink of the 4th industrial revolution, where information flows rapidly and the realms of the physical and the digital melt together. Everything from artificial intelligence to self-driving cars becomes reality. In this exciting new era, Cloud Computing takes pride of place as the very catalyst for all of these services. But Cloud Computing is simply not possible without reliable, high-speed enterprise connectivity. It’s likely that your business is already running many of its mission-critical applications, voice and data services, and customer engagement platforms, from the Cloud. And while this opens up new opportunities, it can also pose a massive risk to your business. If connectivity fails for a couple of days, a couple of hours, or even a couple of minutes, the effects can be disastrous. It could be financial losses, reputational and brand damage, loss of customer trust, and a complete drop-off in workforce productivity. Whatever the size and shape of your business, downtime is simply not something that you can live with. To mitigate these risks, and to ensure that your Cloud transformation strategy continues with confidence, it’s important to have a fully-redundant (backup) and resilient connectivity solution, keeping you connected to your enterprise Cloud services, even if your primary link suffers a failure. Large businesses in major metros will typically have easy access to high-end fibre as their primary connectivity. But in our experience, very few have a reliable secondary link (with many resorting to the likes of ADSL, Diginet or even costly cellular connections when the primary link goes down). It’s also a fallacy to think that fibre will always be 100% resilient and that there’s simply no need for a secondary link. A single spur of fibre is no different to a Diginet service when it comes to redundancy. Anything from network maintenance, to civil engineering work in the area, to software glitches, can bring down a fibre line. In fact, in our first year or so of operating our nationwide, Layer 2, enterprise-grade wireless network, we’ve seen a number of businesses choosing Comsol’s wireless option as their primary and / or secondary connection. In today’s Cloud ready enterprise, the medium should not matter – it is the guaranteed service which is important. Being completely separate from the primary fibre line, this MEF 2.0 compliant wireless network uses the powerful 28GHz spectrum, to give businesses enterprise-grade connectivity. They get the peace of mind that if anything happens to the fibre line, they can seamlessly switch over to wireless, and continue with business as usual. As organisations increasingly rely on the Cloud, and as businesses transmit ever-greater volumes of data back-and-forth to their Cloud environments, this type of wireless alternative is able to handle huge volumes of traffic (unlike basic ‘broadband’ services, for instance). For many of our clients needing to replace legacy Diginet and ADSL wired services, having access to Comsol Connect is absolutely essential. For instance, we’ve connected hundreds of customer branches with Comsol’s wireless solution to replace legacy services, as we see a huge uptake of the service being used as a secondary link. While the Cloud certainly enables fantastic new services and opportunities to wow one’s customers, it demands strong, resilient, and redundant connectivity. Without that, the risks might well be greater than the reward.